FitBody Fifty: Back in the saddle - at last! 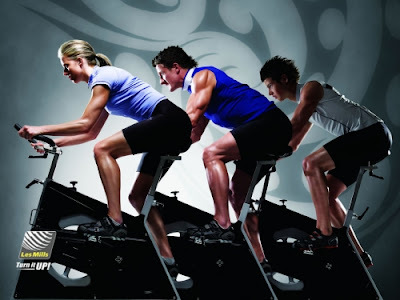 This morning saw me return to my usual Tuesday 6:00am RPM class and believe me, it feels a LOT longer than three weeks since I last climbed into the saddle. I expected to find it quite a struggle, but was pleasantly surprised to find that I managed to keep up pretty well. I did dial back the resistance a couple of gears on the climbs, just so as not to have too much pressure through my foot - but other than that, it felt really...normal. I'm looking forward to getting back into the swing of things now - and perhaps the permanently grumpy mood that's been hanging around for the past few weeks will bugger off too.